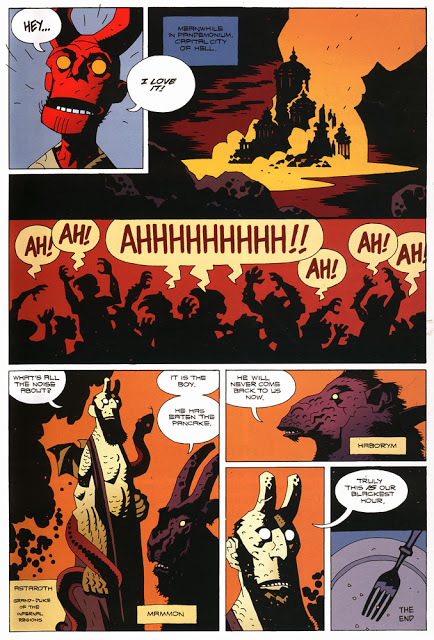 For the day that’s in it, Mike Mignola’s charming “Pancakes” featuring his wonderful character Hellboy, seen here as a child. Hellboy and all associated characters and stories are copyright Mike Mignola and the images here are lifted from a Google search. I would urge you to get to a bookshop as fast as your cloven hooves can carry you and buy “Hellboy: Seed of Destruction“. 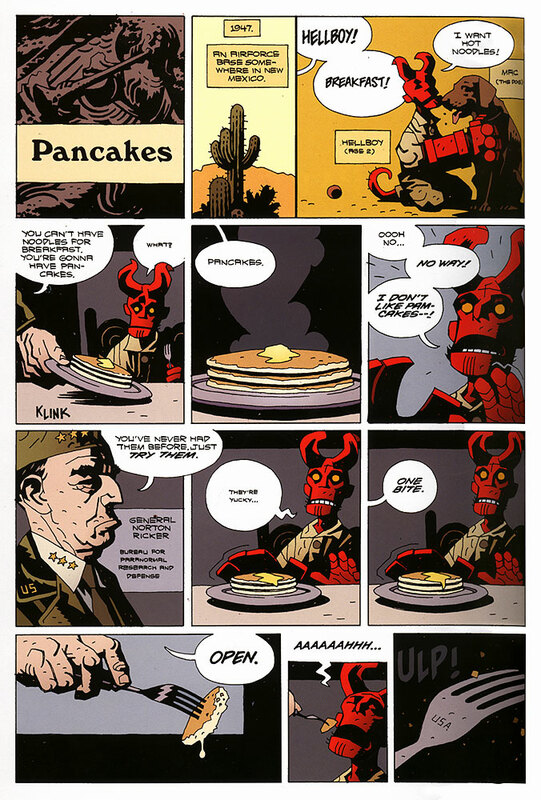 This entry was posted in Uncategorized and tagged Hellboy, Pancakes by Donal O'Keeffe. Bookmark the permalink.